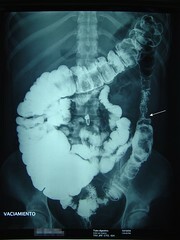 The patient is a young man with onychocryptosis secondary to overweight. 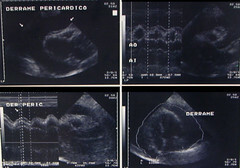 At the images below a matricectomy with remotion of soft tissue are shown. 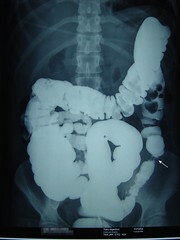 This procedure is performed bedside in few minutes and only need local anesthesia. The goal is to release the nail from the surrounding tissue. As reference, you can trackback this earlier post. Open fractures are surgical emergencies because of its complications (soft tissue damage, infection, hemorrhage). 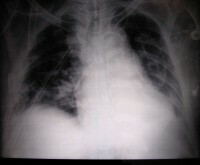 We at emergency department need a classification system that it is intented to determine the degree of that damage. We have to make a rapid (also a good) interrogation of lession mechanisms (what, when, where, who, associated lessions). 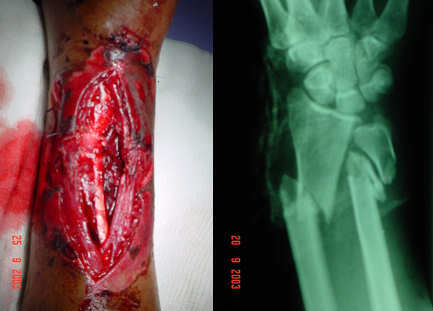 REMEMBER: If a low-grade open fracture has 6hrs from the begining, it’s considered infected. 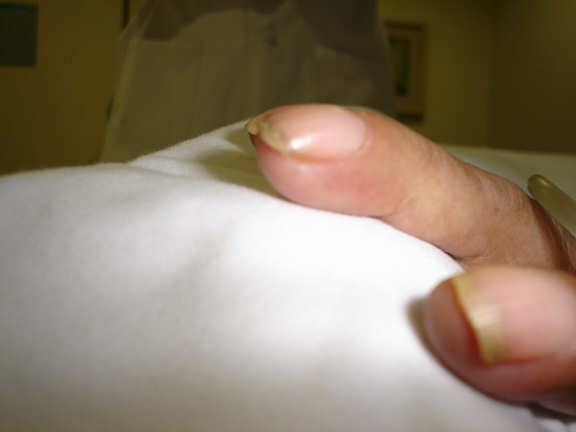 Type I open fracture. 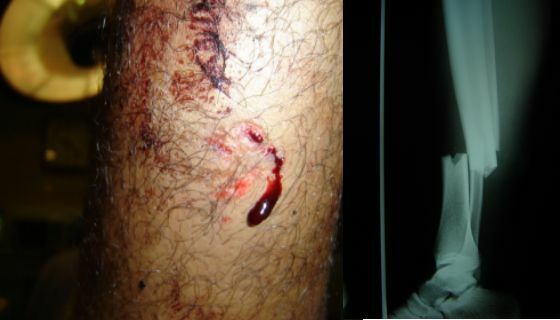 Wound less than 1 cm, without contamination and minimal injury of soft tissue. 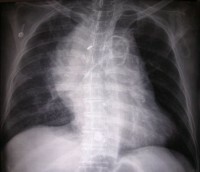 Type II open fracture. 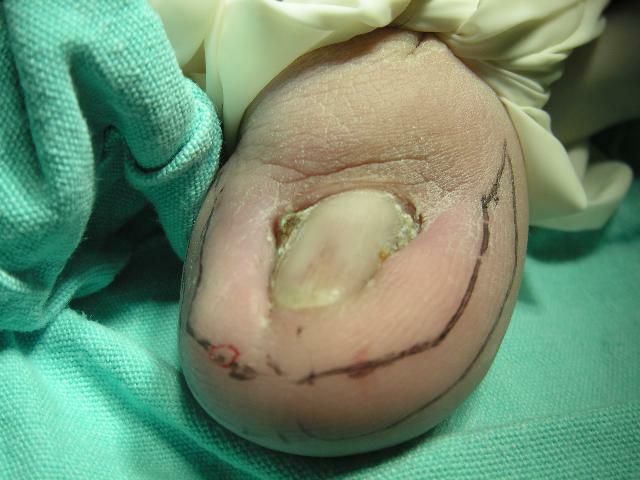 Wound between 1 and 10 cm, mild contamination, extensive soft tissue damage and minimal to moderate crushing component. 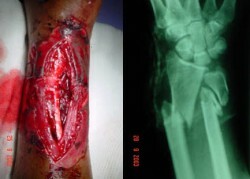 Type III-A open fracture. 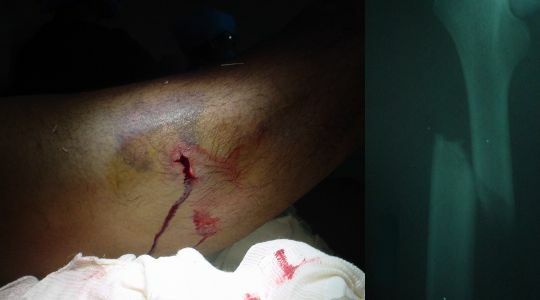 Wound larger than 10 cm, severe contamination and severe crushing component. 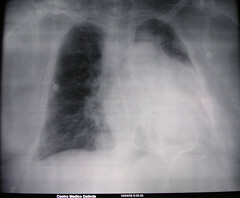 Type III-B open fracture. 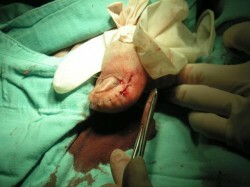 Wound larger than 10 cm, severe contamination and severe loss of tissues. 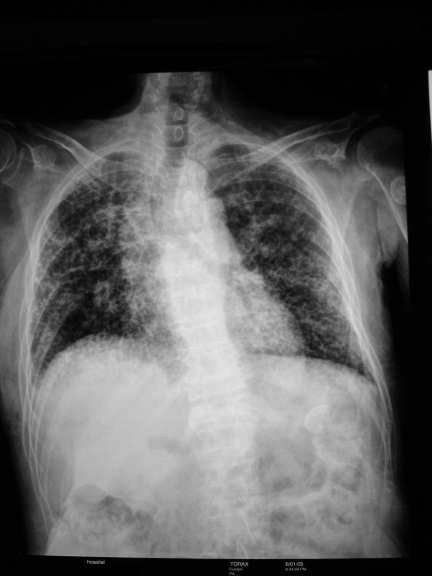 Type III-C open fracture. 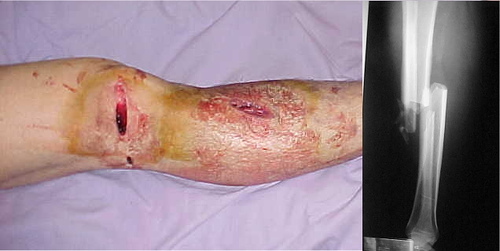 Wound larger than 10 cm, severe contamination and neurovascular injury. Gustilo, R.; Mendoza, R.; Williams, D. Problemsin the management of type III (severe) open fractures: A new classification of typeIII open fractures. J Trauma 24:742, 1984.
â€¢ Severeconstant pleuritic pain that localizes over the anterior chest and may radiateto arms and back; it is differentiated from myocardial ischemia, becausethe pain intensifies with inspiration and is relieved by sittingup and leaning forward. Immediatepericardiocentesispreferably by needle paracentesis with the use of echocardiography, fluoroscopy,orCT Aspirated fluidshould be sent for analysis (protein, LDH, cytology, CBC, Gram stain, AFBstain) and cultures for AFB, fungi, and bacterial C&S. 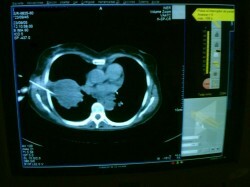 A 64 years old politraumatized male, arrive to ER department directly to trauma room. He was on shock. 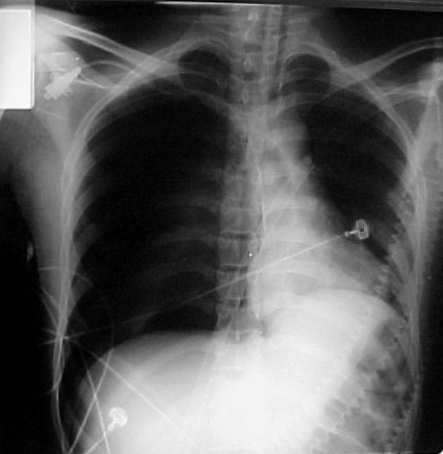 He had no signs of tamponade. 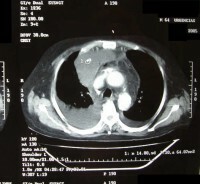 The final diagnosis was Traumatic Mediastinal Hematoma. 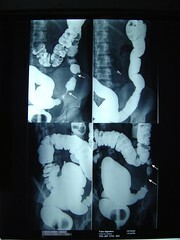 You can notice esophagus displacement and complications of filling cardiac cavities. 22 year old female with painless slowly progressive, ophtalmoplegia with diplopia and ataxia. 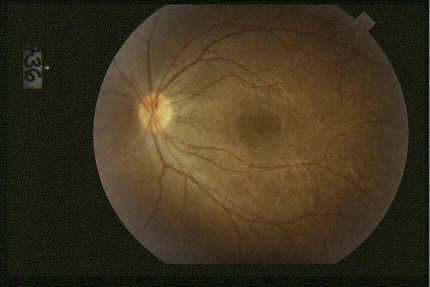 A characteristic bilateral pigmentary retinosis. 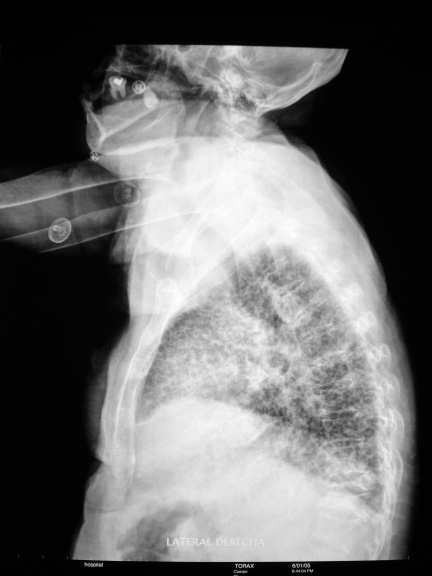 A first degree AV block was found on this patient. 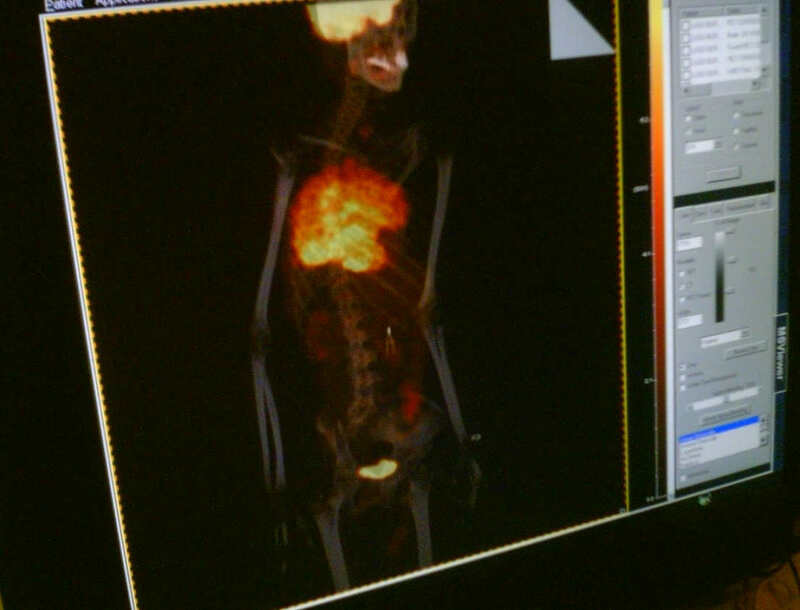 Then we ordered a lumbar punction to chemical and cytologic analysis. The cerebrospinal fluid was cloudy with no other anormalities except elevated proteins (>100mg/dL). With this data now we can think about a chronic progressive external ophtalmoplegia. 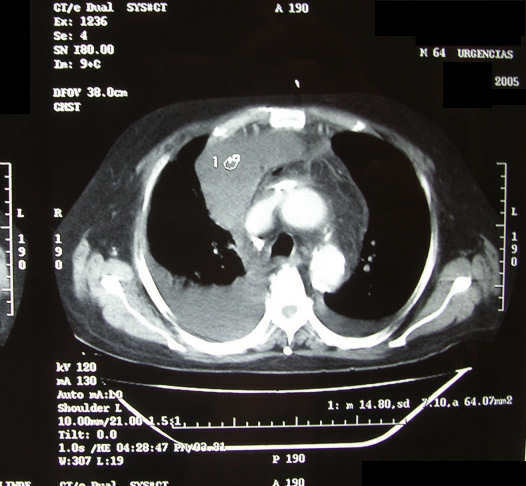 The next step in the diagnosis of this case is to perform an electromyography (myophatyc pattern), electrorretinography (slow transmission) and a muscle biopsy. Kearns-Sayre syndrome wich is a mitochondrial cytopathy that is characterized by CPEO, retinal pigmentary changes, and heart block. 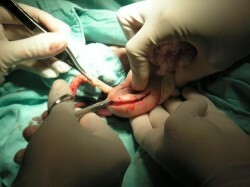 Patients are typically normal at birth. Progressive ophthalmoplegia usually develops between 5 and 20 years of age, although it may occur earlier. Most cases are sporadic. The ocular findings include bilateral and symmetric involvement of the horizontal and vertical muscles, bilateral ptosis, and normal pupils. 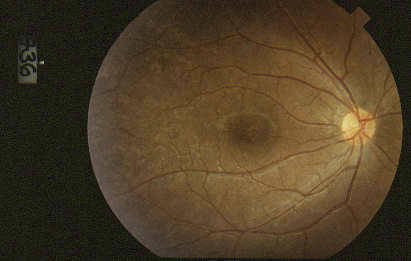 An atypical pigmentary retinopathy (“salt and pepper”) may be present; some patients have a corneal opacity. The ophthalmoplegia progresses slowly over many years and is often asymptomatic because it is insidious and bilaterally symmetric. 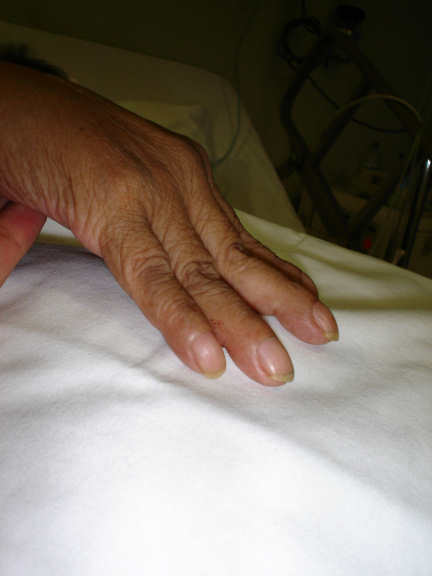 As the extraocular myopathy progresses, generalized muscle weakness and other systemic manifestations may occur. Endocrine and metabolic â€” Short stature. 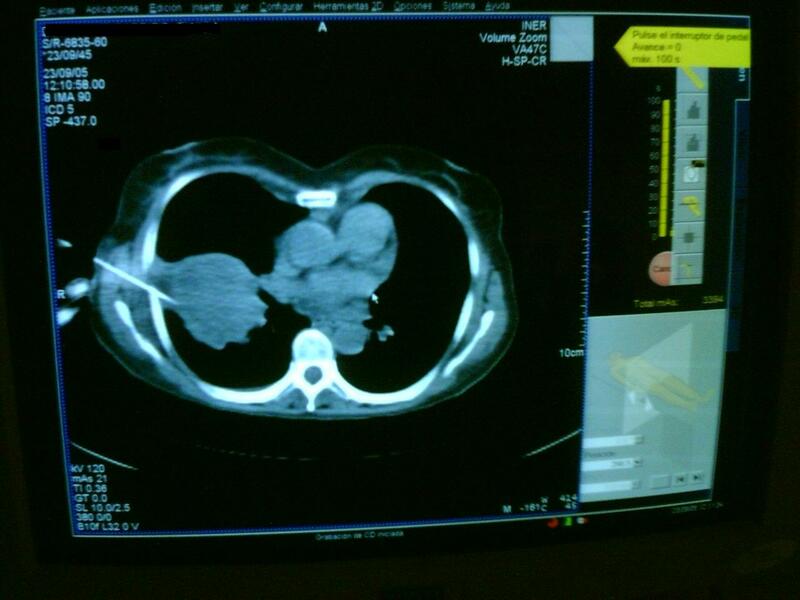 Images and clinical case information provided by: Dr. Arturo RamÃ­rez M. from Mexico City. Thank you for your support, Arturo. 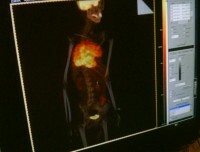 This is an extremely advanced case of rheumatoid arthritis. But, what associations with pulmonary disease does RA have? 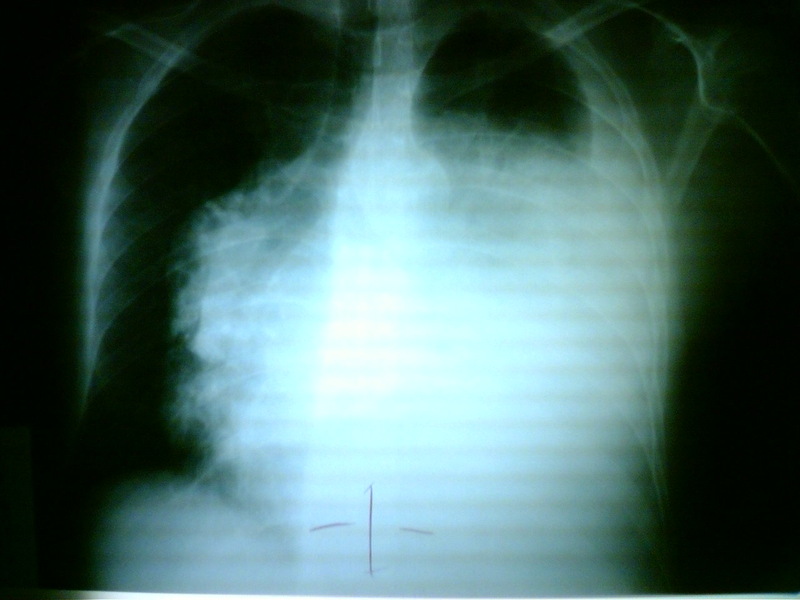 What kind(s) of pulmonary disease(s) does this patient have (or could have)?